In less than two months, Apple will release its flagship for the year 2018 and we couldn’t be more excited. We’re expecting the Cupertino giant to release three variants of the iPhone. While one would be an upgraded version of the iPhone X, the other would be a beefed-up bigger version boasting a 6.5-inch display. Lastly, there will also be a 6.1-inch LCD variant of the device which will be comparatively cheap. We have previously heard that Apple might be working on a dual-SIM iPhone which will be released later this year. Now there is evidence found in iOS 12 beta 5. Let’s check it out. Apple seeded iOS 12 beta 5 for developers yesterday which houses evidence that dual-SIM support is coming to the iPhone. A system component which is responsible for the creation of diagnostic reports adds new references to the “second SIM status” along with a “second SIM tray status”. Apart from this, the “dual sim device” reference was also found on another component. 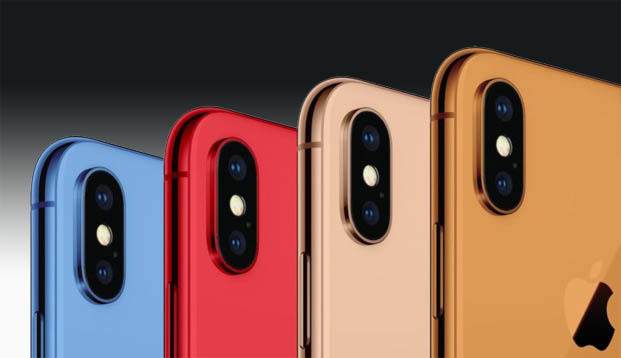 These references in iOS 12 beta 5 which rest at the software level, for now, indicated that there will indeed be a dual-SIM variant of the iPhone. Moreover, the feature would be available for the Plus sized variant of the device. Check out the screenshot embedded below for more details on the matter. As you can see, the references are present and clearly hints at the dual-SIm option. There are several uses for dual-SIM support. For one, you can shift from one carrier to another at will without the need to swap sim cards every time. Moreover, if you travel a lot, the dual-SIM option would definitely come in handy. Henceforth, the feature holds immense importance in European and Asian markets. While Android smartphone manufacturers have been incorporating dual-SIM support for a long time, it would be the first time for an iPhone. There are several other details that we have adhered to over the last few months. It has also been stated that only the bigger 6.5-inch 2018 iPhone will feature Samsung’s OLED display panels. Moreover, there will be a bevy of color options to choose from, but red will not be part of it. As for the 6.1-inch 2018 iPhone, it will feature bezels as thin as 0.5mm. Apart from this, iOS 12 beta 5 for developers also share a lot of other details, so do check that out as well. There will be more to the story, so be sure to stay tuned in for more details. This is all for now, folks. What are your thoughts on the dual-SIM support found in iOS 12 beta 5 for developers? Share your views with us in the comments.